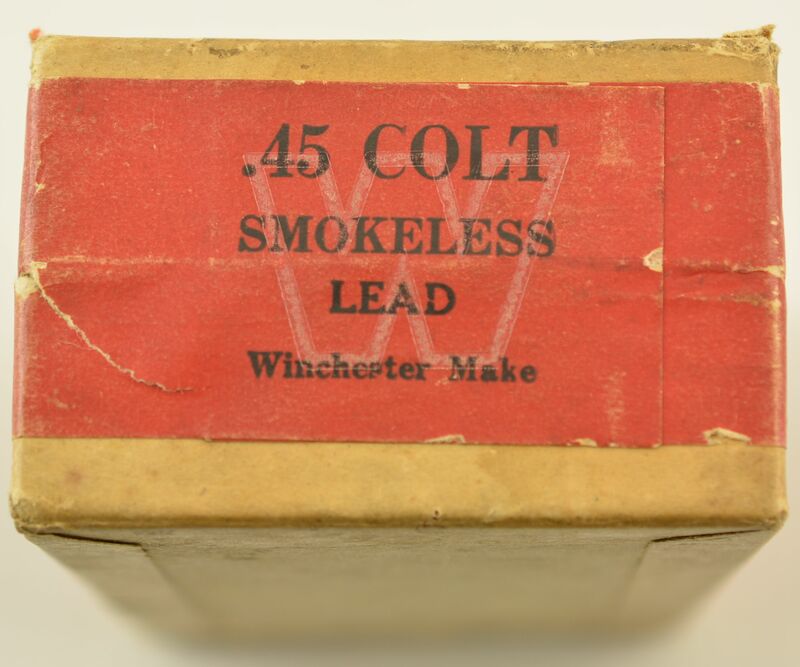 Description: A Rare Winchester Box of 45 Colt with the Colt New Service revolver on the top. 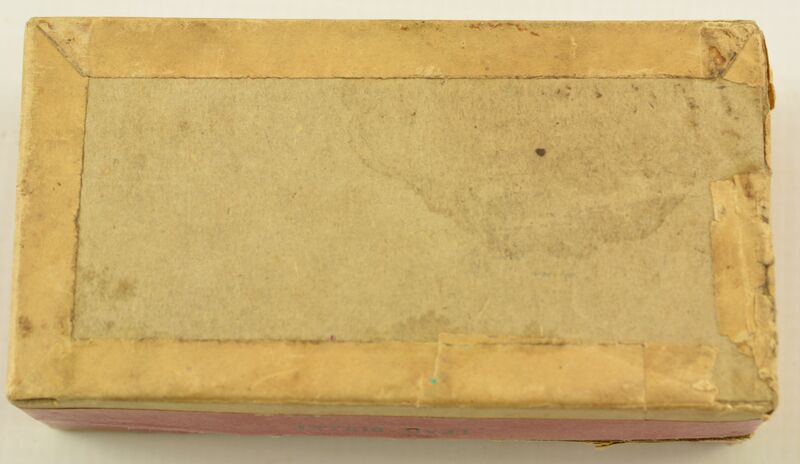 This appears to be a very scarce "picture Box". This box show the front and left side label still factory sealed. This box was damaged at some time. The rear seal was broken and the right side partially detached. The cartridges were showing the original rounds, with the "W' marked primers. The damaged cardboard and label were glued and reattached. 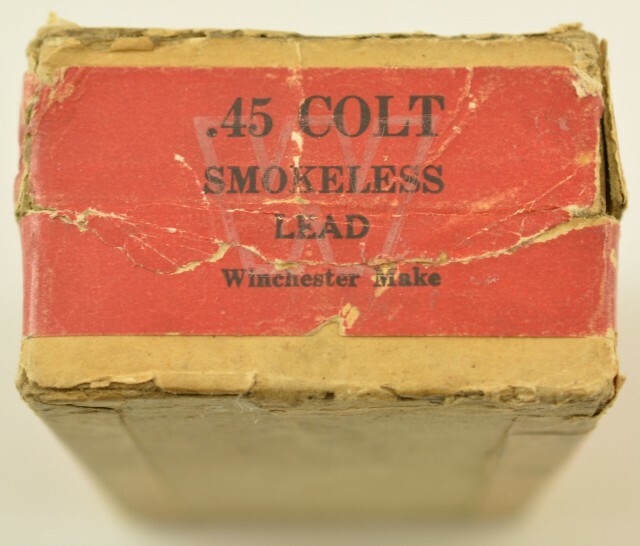 The top label is sound with slight fading on the top frame of the pictured colt. The front label shows the colt recommendation for use in the double and single action colt models. Below that is the Winchester guarantee the usage in the colt arms. The date 6-21 is below the above. We have not found an identical red label/new service box to date. 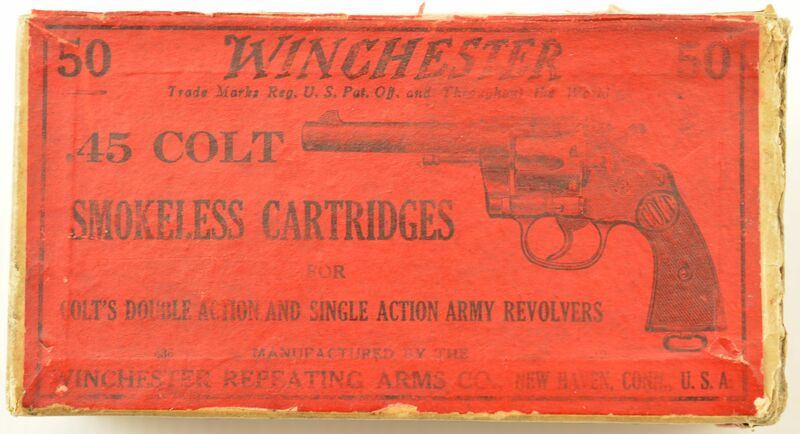 There are none shown in the Winchester Cartridge Book by Ray Giles & Daniel Shuey. We have noted a similar but green label box for sale. Despite the repaired damage.